​2019 is an exciting year. Solar is exploding, and renewable energy innovation is unlocking the power of clean, affordable energy for hundreds of thousands of homes and businesses across the country. New York State is leading the charge; as the 6th best solar market in the country New York solar customers have some exciting opportunities on the horizon. Several big changes will be taking place throughout 2019, and here at Renovus, we have some bold predictions about what it means for you, the solar customer. When you look at the growth of solar across the country, something doesn't add up. 80% of homes in the NYS aren't eligible for an on-site solar system for a myriad of reasons, but yet solar adoption grows every day. How can that be possible? The answer is pretty simple; Community Solar. Renovus built the first ownership style community solar system in 2015, and we've developed 11 more since. Community Solar farms are popping up all over the state, and the net result is that thousands of New York solar customers can leverage off-site power in new, unique ways. Why is 2019 different than 2015-2018? Two words make all the difference: Interzonal power. In previous years only customers within New York's NYSIO utility zones could leverage power from a nearby solar farm. While this legislation was necessary at the time, it left a great deal of New York solar customers in the dust. Starting in December 2018, those NYSIO rules are no longer in effect. Now, as long as a solar farm services a customers utility company, that power can be utilized anywhere in the state. NYSEG customers in Penn Yan can leverage solar farms near Utica, National Grid customers in Syracuse can leverage solar farms outside of Buffalo. All in all, millions of customers who couldn't leverage offsite solar in 2018, can now go solar with a community solar farm. In response to this new regulation, Renovus is planning on building more than 4 MW of residential and commercial off-site solar farms in 2019. These farms, located in NYSEG, National Grid, and RG&E territories will open up solar to tens of thousands of families, and save customers millions on utility bills. Suffice to say; we're psyched! The energy storage market is a sleeping monster, and some New York regulations just might have woken it up. There are two distinct markets for storage in NYS, and they have very different prospects in the coming year. The first is the commercial and industrial sector (C&I), the second is the more familiar residential sector. The C&I sector of solar+storage is set to explode in NYS due to some aggressive and attractive new programs from NYSERDA and the New York State government. Starting in December 2018, a $350 per kW incentive is available to all C&I customers in NYS. For short and medium duration batteries (.5 - 2 hours) that $350 can make up 15-30% of the storage system cost. When combined with the ITC tax credit available for solar customers, C&I customers can see energy storage costs as much as 50% off. These batteries help curb demand charges, can offset peak hour energy costs, and help businesses keep the lights on in case of power outages. While the C&I sector will show exponential growth, most that growth will be away from the public eye, for that reason we expect the growth of residential energy storage to get a great deal of attention in 2019. Residential customers won't benefit from the same cost reductions available through NYSERDA's C&I program, but they will benefit from increased supply and plummeting battery costs. 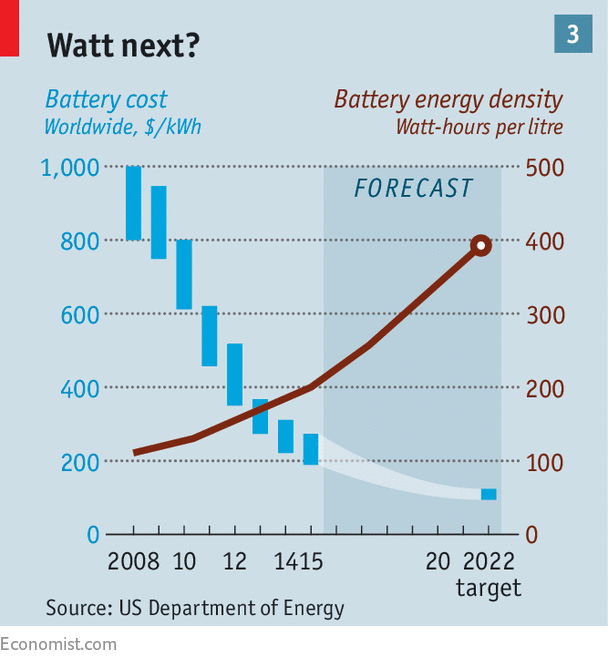 In 2010, the cost of a home lithium-ion battery hovered around $1000 per kWh. 2019 will bring the advent of the sub-$200 per kWh home battery. At Renovus, we're expecting that means within 2-3 years, nearly every solar system will be sold with some type of battery backup. These drops couldn't come at a better time for New York homeowners. Utilities across the state are implementing smart-meter systems that will likely lead to demand-based pricing for all residential customers within a few years. A residential battery can help you avoid these costs by discharging your stored solar power at night, offsetting thousands in extra charges. If you are an electric vehicle (EV) owner, these savings could be massive, as you'll likely do the lion's share of your charging at night. We see 2019 as the year when batteries become a mainstay in New York households. ​If we're going to discuss batteries, we'd be remiss to not bring up the impending revolution in personal transportation; electric vehicles. We're not just talking about the shiny new Tesla you see parked outside your local architects' office. Plug-in hybrid technology is making its way into cars on every level of the price spectrum, while new entries by Hyundai, Kia, and BMW into the all-electric market are speeding up market adoption. Recent data suggests that one in five Americans is considering buying an electric car. With longer ranges and lower prices, those numbers will only increase. With the increase in electric car adoption, many American families are going to be paying more for electricity. A Tesla model 3, for example, can increase the average American's monthly electricity consumption by as much as 30%. For that reason, Renovus sees more and more customers opting for a full fossil-fuel-free solution for their transportation by pairing their new electric car with an on-site or off-site solar system. As these electric vehicles become more mainstream, the cumulative demand created by thousands of cars charging in the evening will put new strain on the grid. Grid operators, energy production facilities and homeowners will need to adjust to what might be the largest shift in grid demand patterns in modern history. Suffice to say, the advent of in-home storage and solar+storage solar farms couldn't have better timing for New York solar customers and electric car owners. Last but certainly not least, we have some predictions about solar system pricing. The Trump administration induced a great deal of panic in 2018 when they announced their 30% tariff on imported panels. The market held tough, and while the tariff certainly brought along plenty of negative impacts for solar companies, most of those costs have not had to be passed on to customers. The reality is that even though panel and inverter prices may have decreased exponentially over the years, processes in engineering, permitting and installation have remained relatively unchanged. A great deal of the cost of a solar system derives from these overhead expenses, and as wages increase we'll see a leveling off of solar system costs in 2019. As recently as 2014, the average cost of a solar system in the United States hung tough at nearly $3.90 per watt. Since then, prices have fallen between 2-5% per year, with 2018 being the lone exception. Due to the hostile trade environment, raising wages, and lack of supply the national average cost of solar rose approximately .3% in 2018, the first rise in average solar prices in nearly 20 years. The average cost of solar in New York State for a residential customer in 2018 was approximately $3.40 per watt, approximately 8% higher than the national average of $3.14 per watt. That same average cost for Renovus customers is closer to $2.80 per watt, and we expect that these costs will remain stable for much of 2019, and increase slightly in 2020 as a response to higher demand for panels and materials worldwide. All of these trends point to one crucial underlying trend that will change the very fabric of our society; electrification. As homeowners continue to get wise to the fluctuations and uncertainty surrounding fossil fuels, the efficiency of electrified devices continues to increase. The confluence of all these factors has created a demand for a wide range of electrified devices and services, from heat pumps and geothermal heating/cooling to electric vehicles and "last-mile" transportation services such as electric bicycles and scooters. This trend is important because it is built upon the predictable rise of electrical costs. Traditionally, the cost of electricity has been tied directly to inflation, and thus sees a likely 2-3% increase per year. When a customer invests in solar or other energy production technologies, they can lock in their current electrical expenses and create a carbon-neutral, cost-saving energy infrastructure for their home or business that mitigates market uncertainty and ultimately saves them thousands of dollars. Electrification means opportunity. And 2019 is a year of opportunity. thinking about solar in 2019? Get educated. If you're a New York solar customer, you can't afford to head into the market blind. 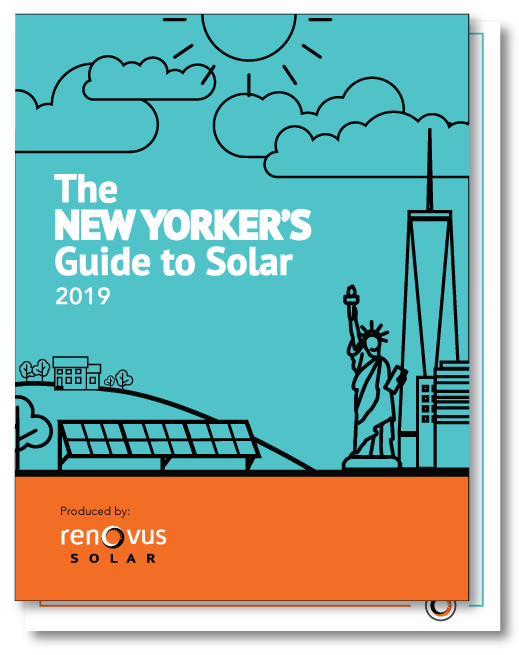 Our first-ever New York Solar guide will walk you through everything you need to know when exploring solar in 2019. Important trends to be on the lookout for as you shop around.